Hello! 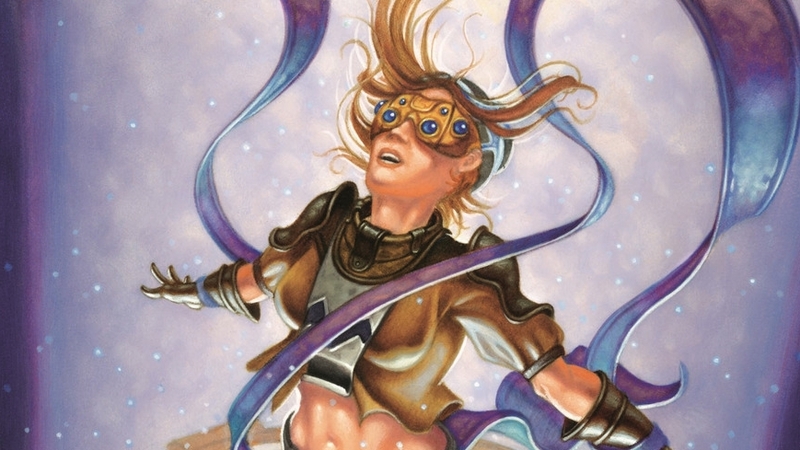 My name is PigNorton, and I’m here today to tell you why you should stop playing Serum Visions in your UW Control decks. For reference, I’ve posted my current decklist. This deck will diverge from your particular list and from whatever you consider “stock”, but the concepts addressed in this article apply broadly. Modern is fast. Most decks in the format use the first 2 or 3 turns to set up a situation where they’re either threatening lethal or putting you in a position where you have no way to ever win the game. UW Control is one of the few exceptions to this rule, since you’ll never kill your opponent before turn 8 or 9, and you don’t truly lock them out of the game until you untap with a Planeswalker in play. Because of this, it’s very important you’re able to spend your mana dealing with whatever threats your opponent is casting in a timely manner throughout the early game and midgame. What this hand wants to do is cast Mana Leak and Logic Knot on turn 2 and 3, then Cryptic Command on turn 4. In theory, Serum Visions should help smooth out your draw, but you actually don’t have any time to cast it. You want to play Celestial Colonnades on turns 1 and 3, which leaves no room for Serum Visions until at least turn 5. This is obviously a scenario I contrived to help me demonstrate my point, but you’d be surprised how often situations along these lines come up. Replacing a Celestial Colonnade or a Serum Visions in that sample hand with an Opt or an Ancestral Vision leads to a very similar conclusion. But what about setting up Terminus? One reason I think a lot of people like Serum Visions so much in UW is that the Scry 2 effect is good at setting up a Terminus Miracle. While it’s true that you do rely on Terminus to gain advantage in creature matchups, it’s not 100% essential that you cast it with a Miracle trigger ASAP. A lot of the time, you’re able to use the “Tap + Draw” mode of Cryptic Command to survive until you’re able to cast a 6-mana Terminus that’s already in your hand, even if you never hit one off the top. Because of this, it’s a lot more important not to let the game spiral out of control in the early game than it is to set up Terminus Miracles as often as possible. This is especially true in light of the fact that the best creature deck currently in the format is Humans, which punishes the plan of Serum Visioning into Terminus really effectively. First of all, if you scry to the top against a savvy Humans player, they will put a priority on either casting a Meddling Mage naming Terminus, or Vialing in a Kitesail Freebooter in response to the Miracle trigger. Thalia just exacerbates this problem, since the only thing worse than a Humans player disrupting a Serum Visions that cost 1 mana is a Humans Player disrupting a Serum Visions that costs 2 mana. So what should I play instead? Unfortunately, I can’t give you an easy answer to this question, since what you replace Serum Visions with depends on your exact 75. (If you don’t want to think for yourself, just copy the list I posted above card-for-card and be done with it). However, I can tell you what I replaced for the 3 Serum Visions I used to be playing to give you some insight into my thought process. The 6th spot removal spell: Most UW Control decks are playing 4 Path to Exile and either 1 Condemn or 1 Oust. Upping the total number of cheap spot removal spells to 6 is a reasonable way to shore up creature-based matchups, especially since I don’t happen to be playing Detention Sphere. I prefer Oust because of cards like Thalia, Meddling Mage, Dark Confidant, and mana dorks that have impact on the game without necessarily attacking, but I think Condemn is a totally fine choice as well. Vendilion Clique: A powerful, interactive effect that is good in most matchups. I wouldn’t play more than 2, but I originally had both in the sideboard and I decided to move one into the maindeck since it’s not a very situational card. Spell Snare: Spell Snare is my least favorite of the counterspells that I’m playing, since there are a lot of decks that have Cavern of Souls or don’t play very many 2-drops. But even so, the decks that have very few 2-drops still have more than zero, and Humans does play Phantasmal Image which can be Spell Snared when cast using a Cavern set to “Human”.